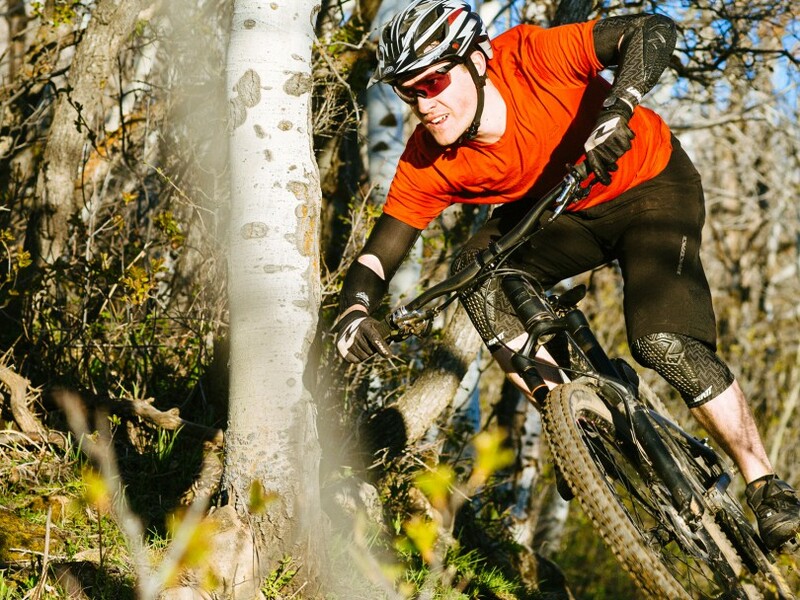 Tom Collier shredding one of Flying Dog's many aspen groves. One ride down the Flying Dog trail on a mountain bike and you’ll understand why it’s an IMBA designated Epic Ride. The 5 mile descent is sure to put a smile on even the most righteous of spandex clad masochists. When we rode this trail last week, the dirt was all-time. However, with this week’s forecasted rain, please be considerate of the trail conditions before venturing out. We strongly recommend riding Flying Dog in the counter-clockwise direction to maximize the fun-factor on the descent. Afterwards, hit up the brand new Park City Brewery tap room for some post-ride calorie replenishment therapy. 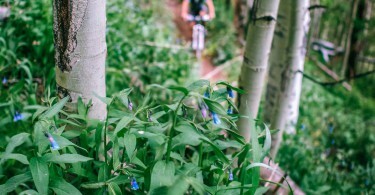 Our favorite way to ride Flying Dog, especially as an after work ride, is from the Schoolhouse Trailhead which is located behind the Jeremy Ranch Elementary School. From the trailhead ride up Fink Again and turn left on 24/7 Connector. You’ll wind around without much elevation change until you reach the Preserve Connector on your right. Don’t be fooled by the trail marker showing Flying Dog straight ahead. Once on the Preserve Connector trail, it’s all uphill from there. You’ll have a steady climb until you reach about 7,770 ft and the beginning of the Flying Dog trail. 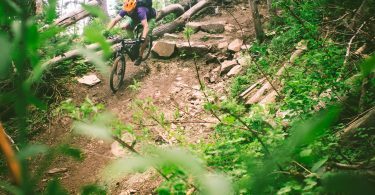 After you reach the bottom of Flying Dog, finish with a quick descent on one of the Bob’s Basin freeride trails, before heading back to the car. View more on the Flying Dog trail page.